Darkness is descending and Halloween is only around the corner. We have a number of events planned for this Halloween season to keep everyone entertained, scared, thrilled and excited. 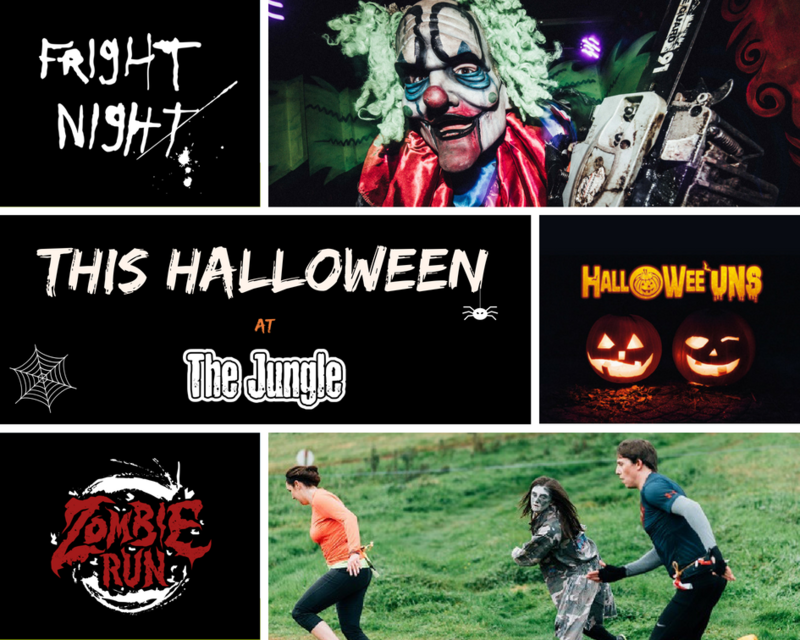 We have something for everyone this year, with the most recent addition to the roster of events being our Kids Halloween themed event, Hallowee’uns, as well as Kids and Teens Races in our annual Zombie Run. Fright Night will take centre stage as usual, with one of our fan favourite Scare Attractions making a return. Below is our run down of this year’s events. To kick off the Halloween season, our annual Zombie Run offers the chance to complete a daring 6K obstacle course, with a twist. The obstacle course is full of natural and man-made obstacles to navigate and conquer, such as the exhilarating Giant Water Slide, the slippery Slip N Slide, a disorientating corn field maze and many more. To make things a little more interesting, there will also be 7 infected areas, loaded with life stealing Zombies. Each runner will be given a belt with 3 bands on it, representing a life each. Can you get to the finish with all 3 lives in tact or will you fall prey to the pursuing Zombies, who will be trying to grab hold of those bands? This year, we have our Adults only (18 years+) Run on Saturday 6th October. The following day, Sunday 7th October, will see us host our first ever Kids (6-10 years) and Teens (11-17 years) Runs, so even the younger thrill seekers can get involved this year. Following on from last year’s sell out event, Fright Night makes it welcome return. Over 13 nights, we will aim to thrill with our ever popular Woodland Trail. This is an hour long spooky trail through our dark and haunted woods, stopping off to visit various characters who will reveal a spine tingling story. To set the scene, it will be enhanced with low level lighting and special effects. There will also be a few sneaky surprises thrown in to keep you on your toes. To add to that, we have 6 Scare Attractions on offer. We have all of last year’s popular Scare Attractions, such as The Circus, Claustraforest, Inbred Horror House, Hellish Hay Cart and last year’s newest addition returns, The Slaughterhouse. Our final Scare Attraction, back by popular demand is the Evil Harvest. No longer will you be attempting to navigate the corn field maze in the dark, but you’ll be taken on a trek of frightening experiences. Have you ever wondered what dark demon like creatures live in the shadows and depths of a corn field? You are about to experience exactly what nightmares of filled with. 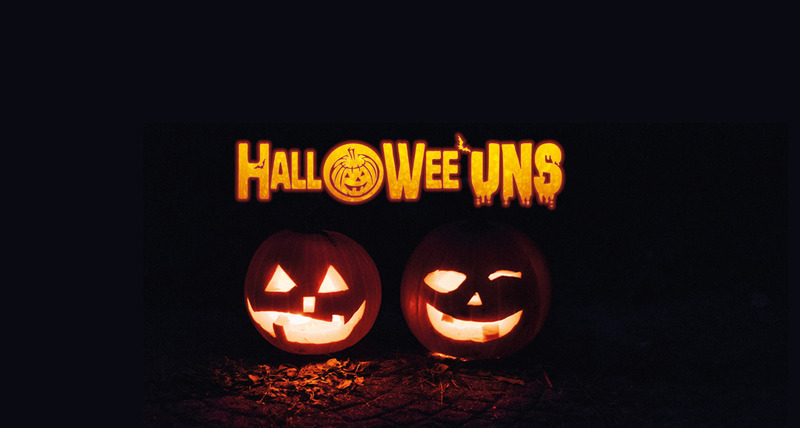 Between Monday 29th October and Friday 2nd November we will host our first ever Halloween event for Kids and their families…..aptly dubbed Hallowee’uns. This week long Halloween extravaganza will run each day between 11am and 2pm and will involve lots of devilishly delightful Halloween themed activities. During the event the kids will enjoy some pumpkin picking and carving, a haunting Haycart Ride with a rather wicked witch who will tell spooky stories along the way, a mysterious and mind boggling trek around our Maize Maze and a host of other adventure activities. We will also be giving out prizes for the best costumes, so all types of ghostly and fang-tastic costumes are encouraged. PLEASE NOTE: ALL THESE EVENTS MUST BE BOOKED IN ADVANCE.